First impressions are everything when it comes to selling your home. Standing out from the competition in a bustling market place can mean your property sells faster and for more money. The vast majority of buyers first catch a glimpse of your home online so absorbing their attention can mean the difference between a physical viewing and them scrolling on to the next listing. Dressing your home can make it appear to a whole host of potential buyers. But it's not simply a case of ensuring your property is spotlessly clean and tidy. The first rule of dressing your home is to make sure all clutter is either thrown out or packed away out of sight of peaking buyers. Be ruthless. Dressing your home for the sales market can be a perfect excuse to rid yourself of the things you no longer need but are clinging on to regardless. Floors and surfaces should be free of clutter and you should add a bit of organisation to your cupboards - it's amazing how many potential buyers will open them up and have a sneaky peak. Make sure all your carpets are clean. If you have exposed floorboards, repair any creaky or unsteady ones. It can also be a good idea to put a fresh coat of wax or stain on exposed floors so they look their best - especially those in high-traffic areas like hallways. If some areas of hard flooring are past their best, rugs can be a great quick fix. But make sure you experiment with different options. Some rugs can reduce the feeling of space, while others can add a nice homely touch to a room. You might love bright and bold colours, but buyers need to be able to visualise themselves living in your home. 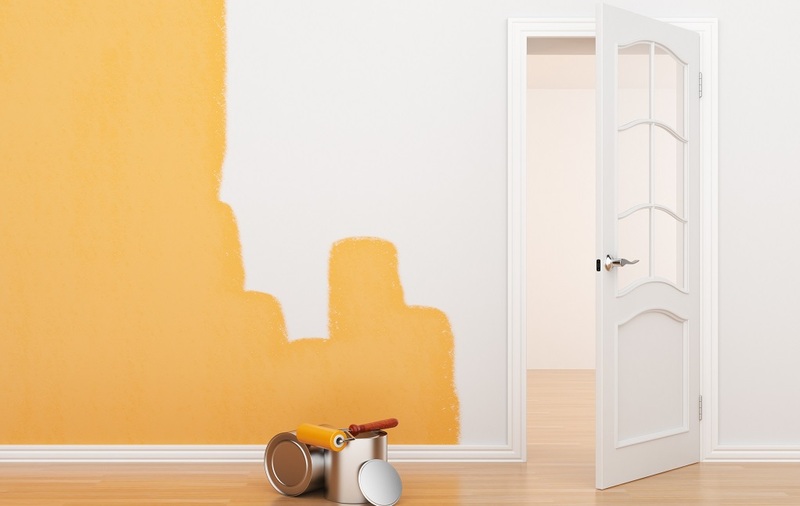 Give your walls a fresh lick of paint, but stick to sophisticated neutral colours that will allow prospective buyers to see their own things in your home. Trust us, that bright purple wall won't help, so cover it up! While all your windows should have blinds or curtains, avoid net curtains! They look tacky and in no way add to the staging of your home. Ensure all curtains are pulled back and blinds are open so sunlight can flood into your rooms before a viewing. If you have a larger budget for dressing your home, you could consider installing shutters. White shutters are a big selling point and add value as they boost privacy and look stylish and contemporary at the same time. While wall art can really add to a room, you need to consider that your tastes might not appeal to prospective buyers. Garish wall art can be a distraction. Remove pictures or canvases of family, too. Buyers find it very hard to imagine living in a property when there are images of the current owners everywhere. Even if your home is a property that could be classed as 'snug', using your furniture to your advantage can create a feeling of space buyers won't be able to resist. Make sure your tables are free from any clutter, but not so sterile that the property doesn't looked 'lived in'. A bowl of fruit or vase of flowers on the table is a nice touch. Remove a chair or two from the living room, leaving just the main sofa or sofas. This will make the room look bigger. In order to make your bedroom feel light and airy, only use white linen which should be neatly ironed. Plump up those pillows and sit some cushions on the bed to make those prospective buyers want to jump in for 40 winks! However much you might really want it, avoid eating spicy food the night before a viewing. The smell will linger into the next day, no matter how many windows you have open. And if it's the middle of winter, you won't want to open them at all! If you have pets, make sure all your carpets and rugs have been cleaned and use air fresheners or candles to rid your home of any faint smells that could remain. If you need any more advice on putting your homw up for sale, contact your local Ellis & Co office who will be happy to help.